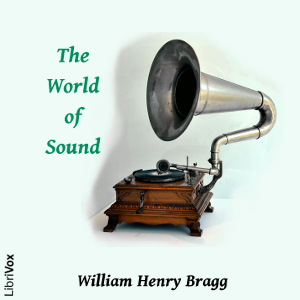 The World of Sound consists of six lectures delivered before a juvenile audience at the Royal Institution, Christmas 1919. The Royal Institution Christmas Lectures are a series of lectures on a single topic, which have been held at the Royal Institution in London each year since 1825, except several years during the Second World War. The lectures present scientific subjects to a general audience, including young people, in an informative and entertaining manner. Michael Faraday initiated the first Christmas Lecture series in 1825, at a time when organised education for young people was scarce. This series of lectures is still interesting for its basic explanation of sound and hearing, and the history of the research into it. The last chapter, Sound in War, was of course written at a time when submarines - and aeroplanes - were in their infancy. Acoustic mirrors, used as early warning devices of approaching aircraft before the invention of radar, are described, but the reader suspects that at the time of writing, the new invention of ASDIC (the predecessor of Sonar) was still secret and so was not mentioned in this lecture. Summary by Ruth Golding & Wikipedia.